Kyoto Animation's official YouTube channel has posted a 30-second teaser trailer for Free! 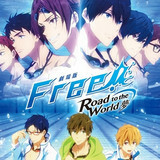 ~Road to the World~ Yume (Dream), an upcoming compilation film based on the third season of the Free! TV anime series, Free! - Dive to the Future, aired in Japan from July to September 2018. Check out the clip and a newly-drawn key visual after the jump! 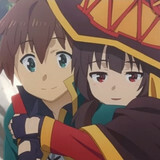 The official website for KONOSUBA: God's Blessing on this Wonderful World! 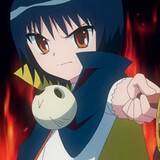 Legend of Crimson, the upcoming all-new feature film based on Natsume Akatsuki's comedic fantasy light novel series, announced today that its Japanese release date is set for August 30, 2019. 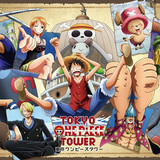 Check out more latest information including its theme song artists after the jump! 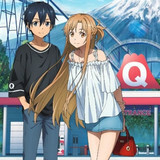 Fuji-Q Highland, an amusement park located in Yamanashi Prefecture, is scheduled to offer a special collaboration campaign featuring the Sword Art Online: Alishiization TV anime series between April 27 and June 2, 2019. Learn about the dream project with collaboration visuals featuring the SAO characters after the jump! 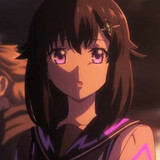 The official YouTube channel for Fuji&gumi Games' smartphone RPG Taga Tame no Alchemist/For Whom The Alchemist Exists has posted a 60-second full trailer for the upcoming anime feature film adaptation, featuring its theme song "Namida" (Tears) performed by 35-year-old singer-songwriter Huwie Ishizaki. Watch the latest footage with the song after the jump! 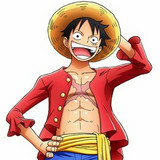 It is confirmed today that the current total box office gross of the first three chapters of the four-chapter KING OF PRISM -Shiny Seven Stars- film edition has surpassed 300 million yen with the 170,000 ticket sales in Japan. Its last and fourth chapter "IV Louis x Shin x Unknown" will open in theaters on May 2, 2019. Hit the jump for more details. 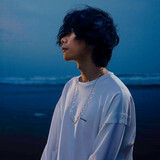 The official website for the forthcoming anime film Kaiju no Kodomo/Children of the Sea announced today that 28-year-old Japanese singer-songwriter Kenshi Yonezu has provided his newly-written song "Umi no Yuurei" (The ghost in the sea) as its theme song. 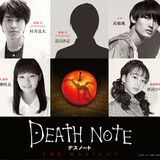 This is the first film theme song featuring him as main vocalist. Hit the jump for more details. 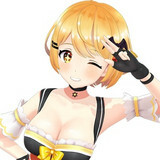 Meet Virtual YouTuber Yozora Mel in Her First 3D Model MV "Viva Happy"
Three weeks after the revealing of her new 3D model look, virtual YouTuber Yozora Mel posted her first music video "Viva Happy" featuring the visual on her official YouTube channel. 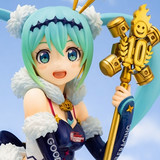 The song is a cover version of the Hatsune Miku song originally released by Mitchie M in July 2013. Check out her cute performance after the jump! 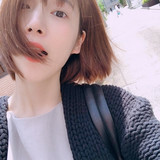 The official website for 29-year-old anime voice actress Maaya Uchida has started streaming a three-minute special PV to celebrate the fifth anniversary of her artist activity. She made her solo singer debut from Pony Canyon in April 2014 and has released eight singles, two full albums and one mini album. Watch the memorial clip together after the jump!